I have this wonderful photo of my mother and myself at the Biltmore House in Asheville, NC. The challenge: We are wearing completely different color schemes so what color can I put on my page? 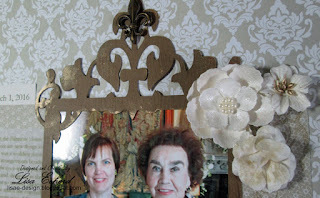 I decided on neutrals - lots of layers of neutrals. 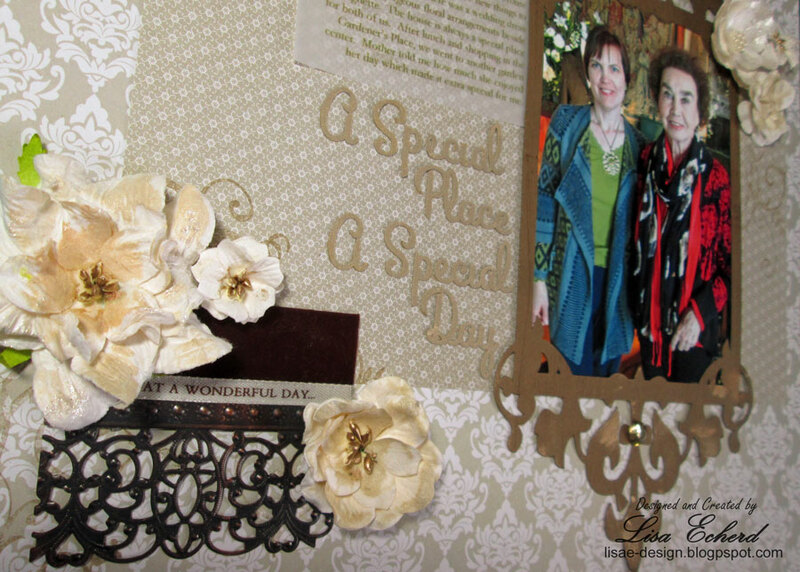 There are flowers from Wild Orchid Crafts - an online vendor in England, a Silhouette die cut frame that I did a bit more work on, vellum for the journaling, gold cardstock for the lettering, a couple of metal embellishments and some stamping. 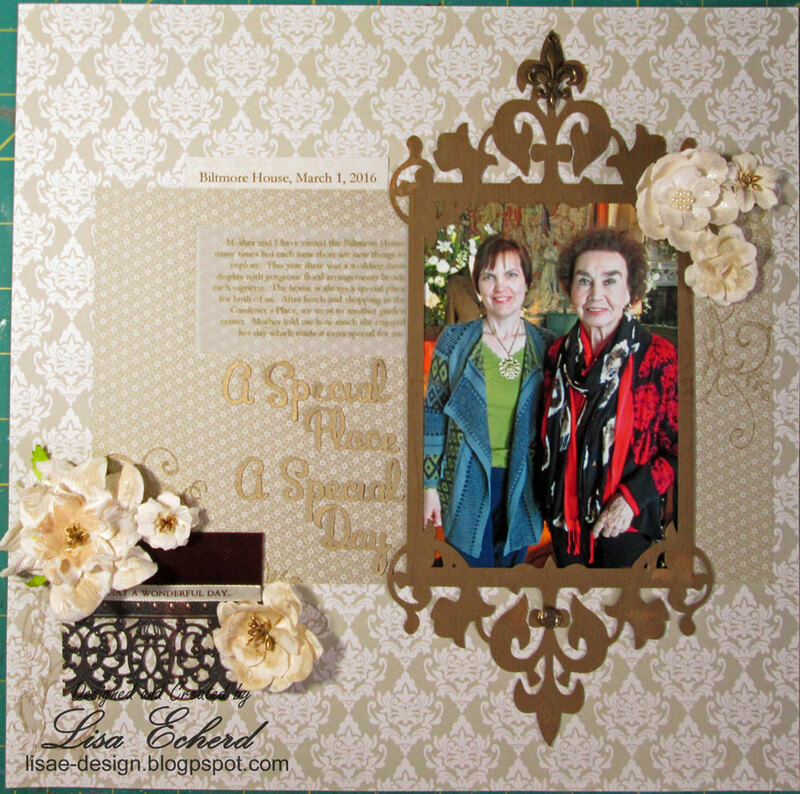 Techniques from Creative Cardstock and Sensational 6x6 classes help with this layout. Check out my classes here. If you follow me on other social media, you may have seen that I put several of my Stampin' Up! sets for sale over the weekend. They sold so fast, I didn't have time to post here! I do still have a couple of wood mount sets left. Check them out here on Lovely Layers Art. Thanks for all who purchased. 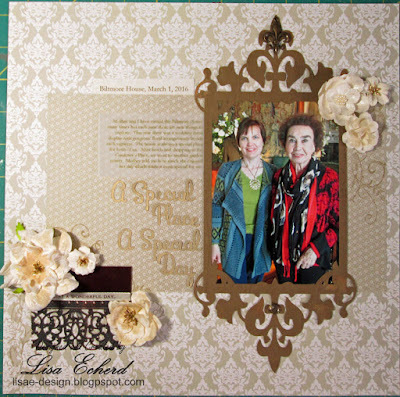 That is such a great LO - and what a lovely photo of you both! 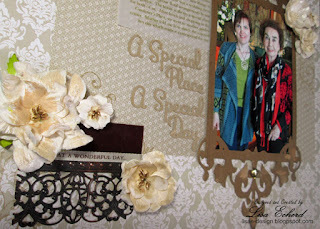 Love that you could use 6x6 papers as a mat - I wouldn't have known! Love the journaling on vellum too.